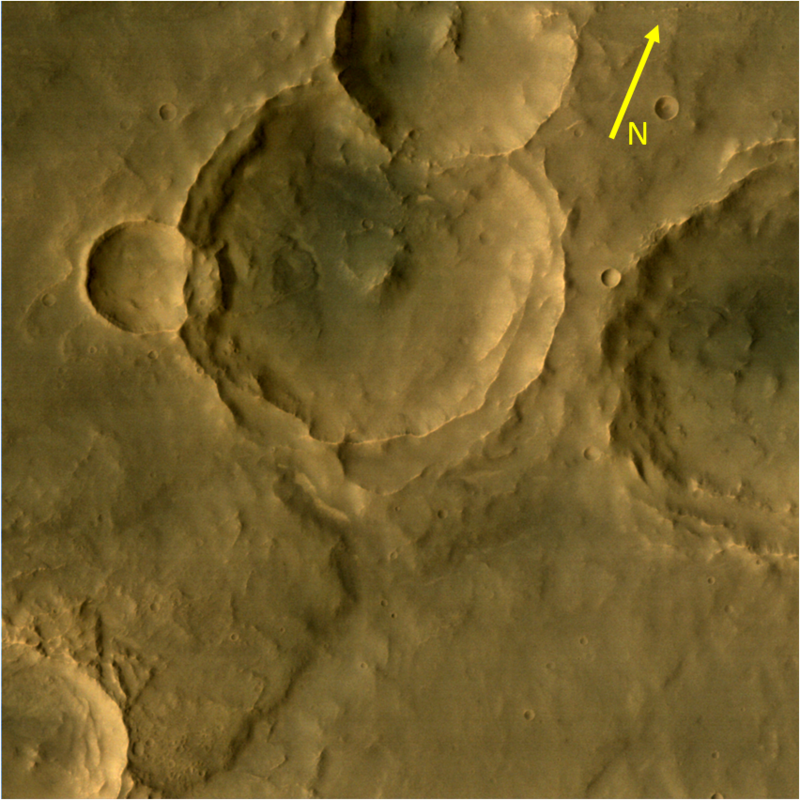 Danielson crater is named after scientist George E Danielson who developed many space cameras flown to Mars. 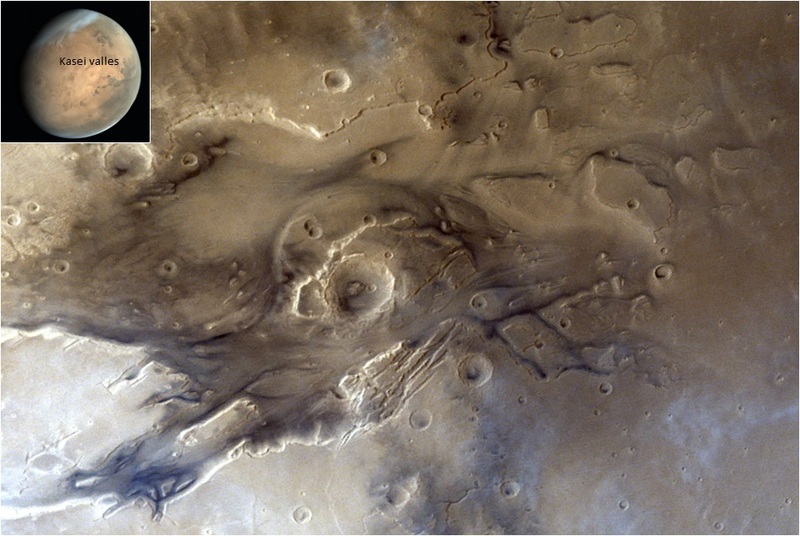 This crater is of 60 km width and is filled with layered sediments. 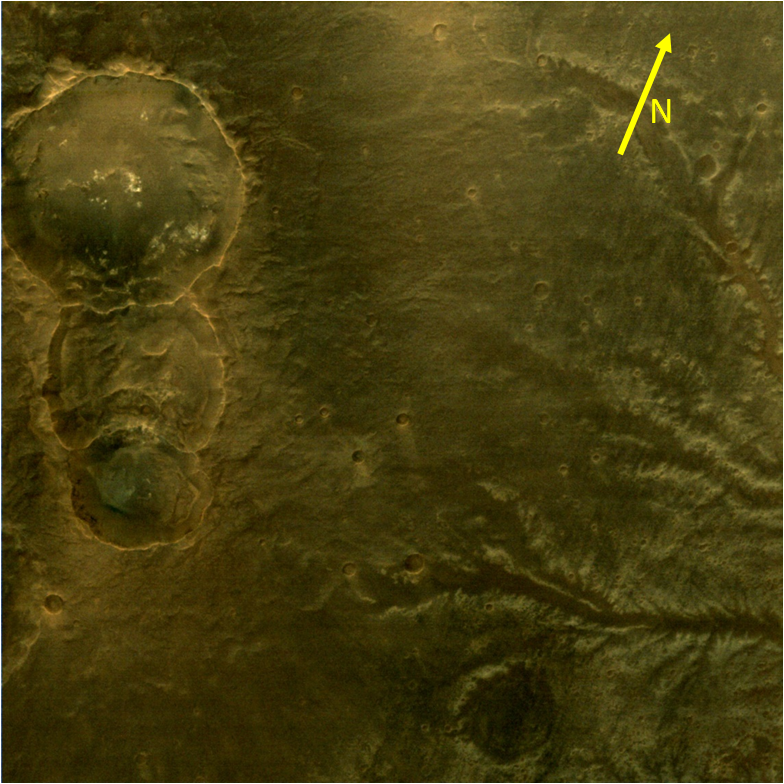 Kalocsa crater lies below the Danielson crater and is of 33 km width. 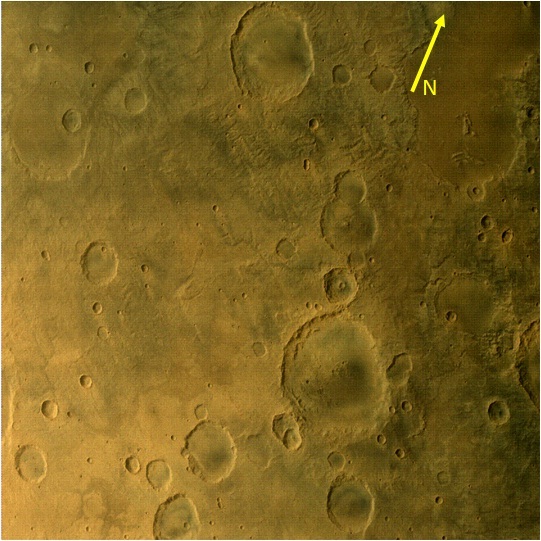 However, Mars Kalocsa crater does not show any layered sediments as seen in Danielson crater, though collocated with Danielson crater. 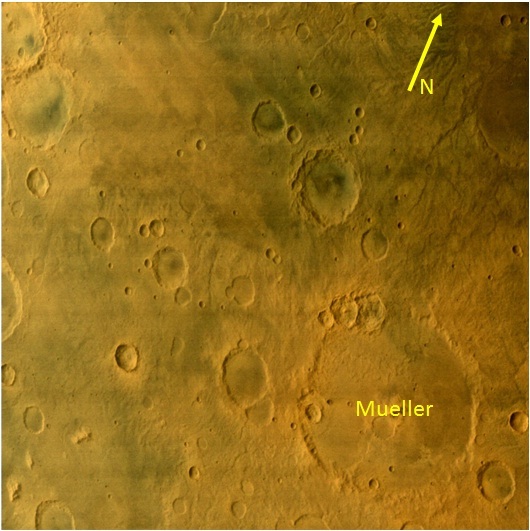 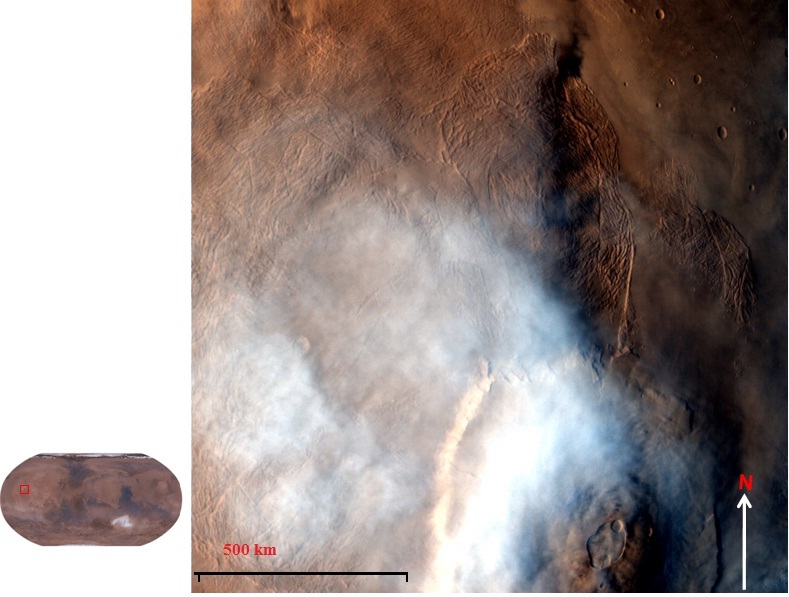 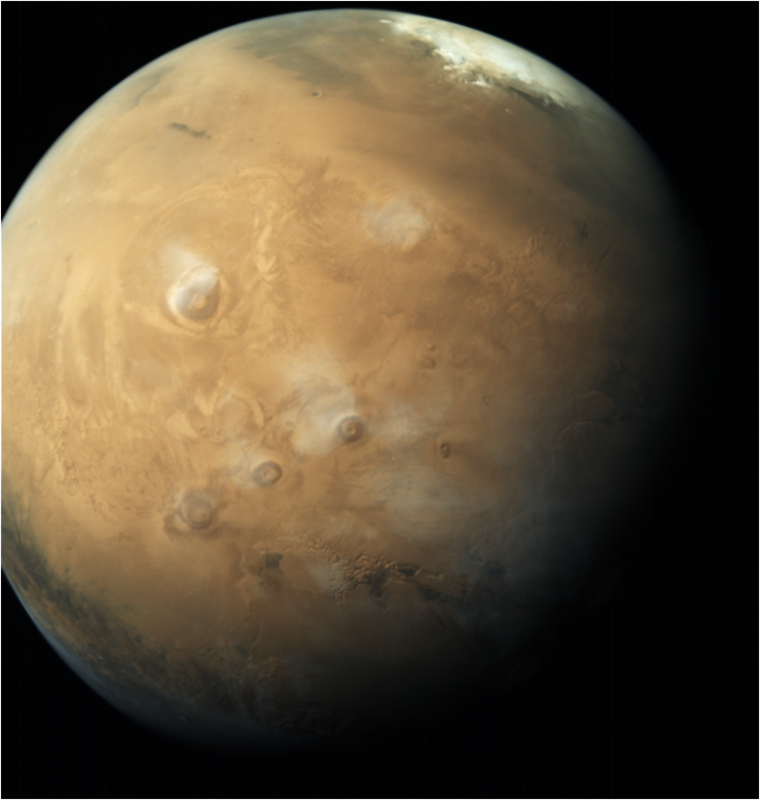 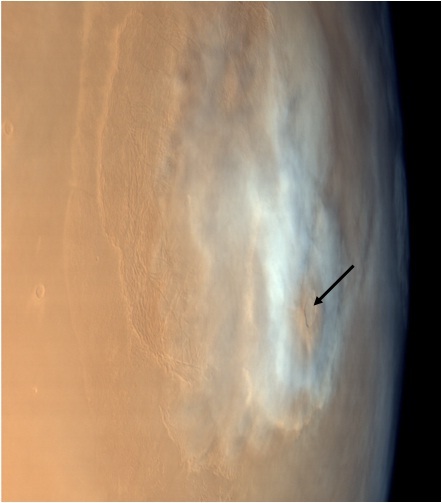 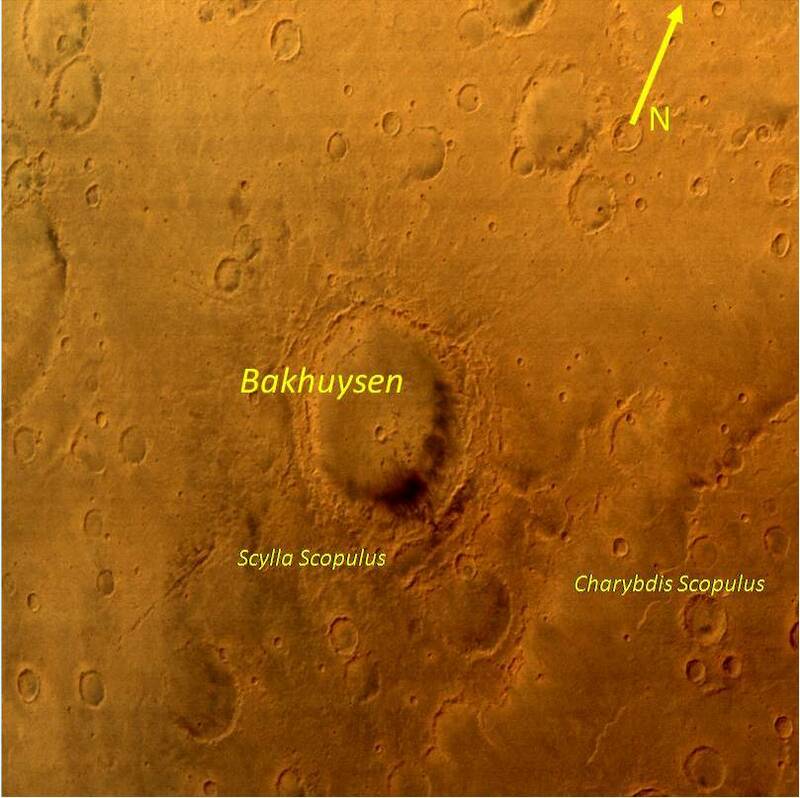 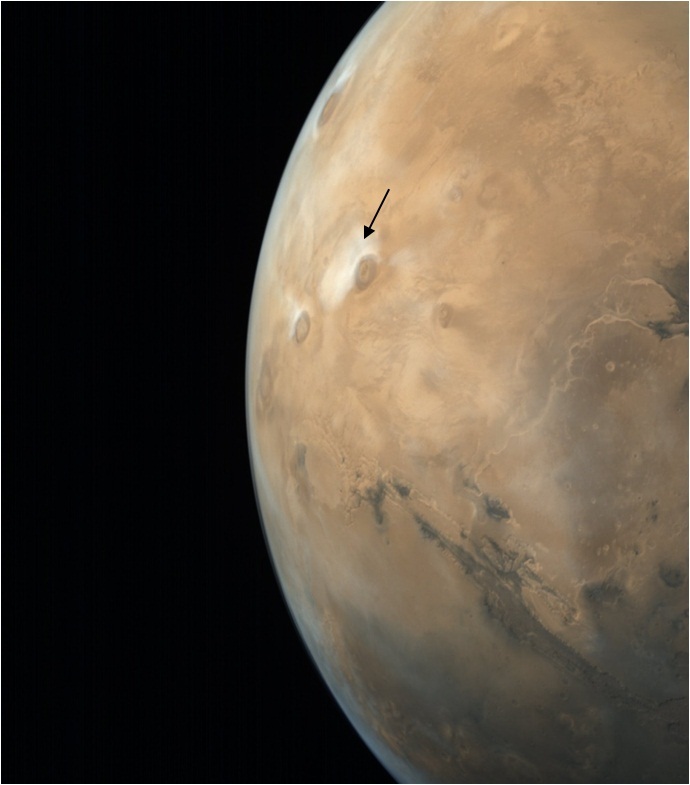 Mars Colour Camera (MCC) image was taken on September 24, 2016 at an altitude of 2453 km with a resolution of 122 meters.